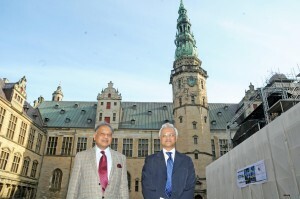 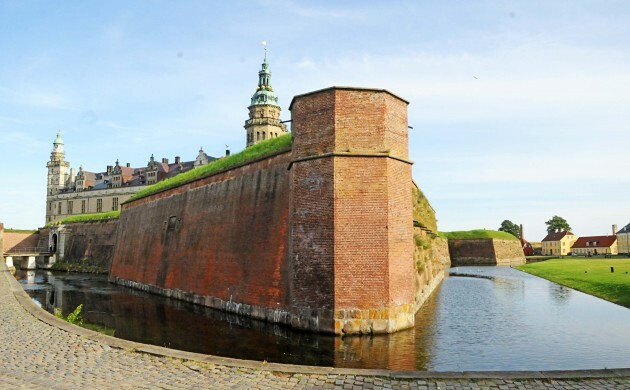 Indian ambassador Niraj Srivastava and his brother (left) were among those in attendance at the Shakespeare Festival in early August at Kronborg Castle in Helsingør, the home of Hamlet. 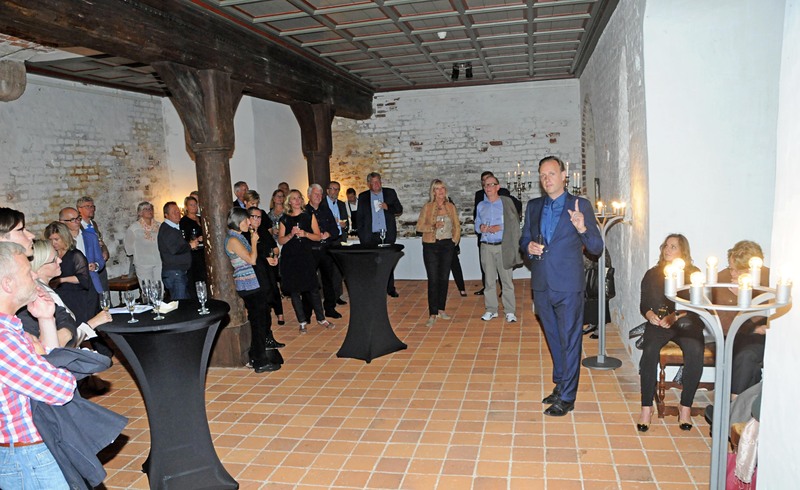 HamletScenen head, the aptly named Lars Romann Engel Kronborg (centre left), welcomed guests to watch a German adaptation of Hamlet starring Christian Friedel (centre right). 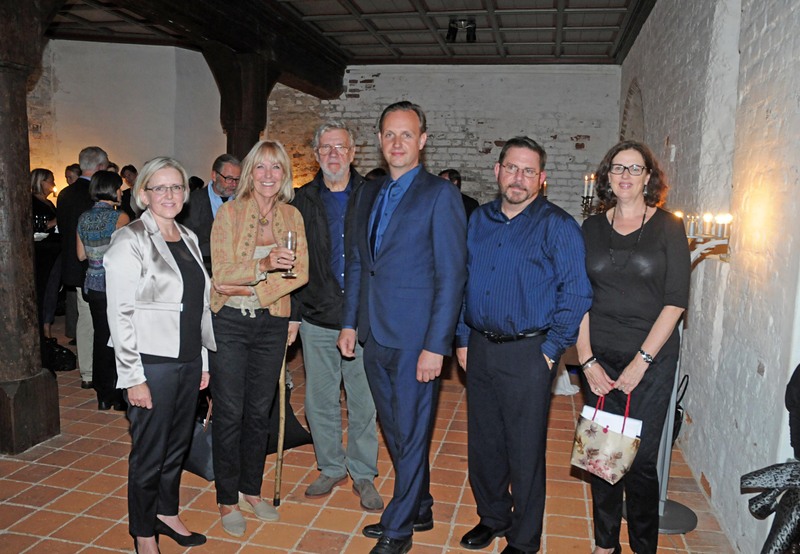 Also present (right) were (left-right) German deputy ambassador Anke Meyer, actress Vivienne McKee (enjoy her Shakespeare musings on page 11), actor Morten Grunwald, Kronborg (the man not the castle), and US deputy ambassador Karl Stoltz and his wife. 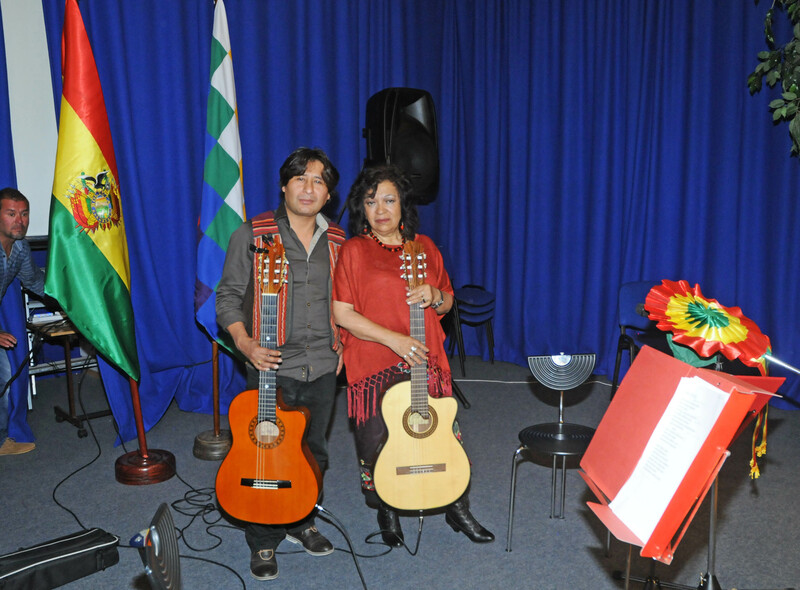 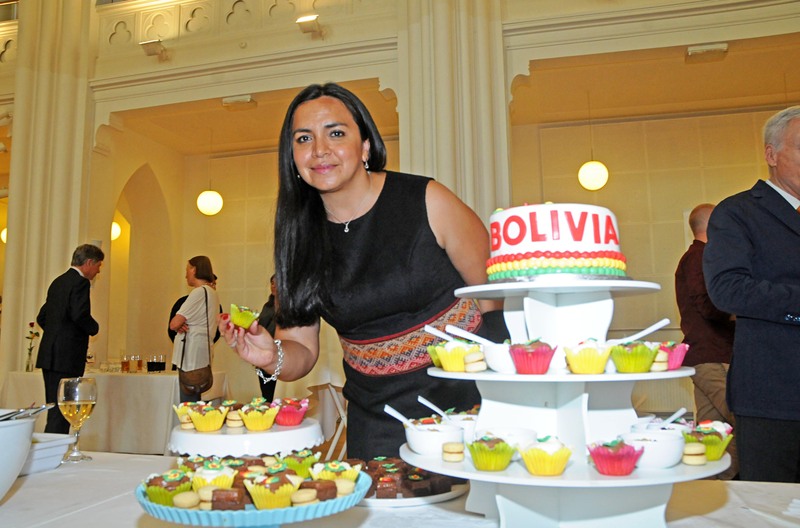 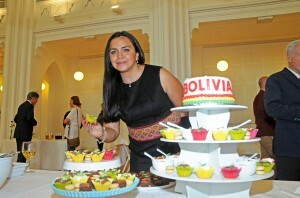 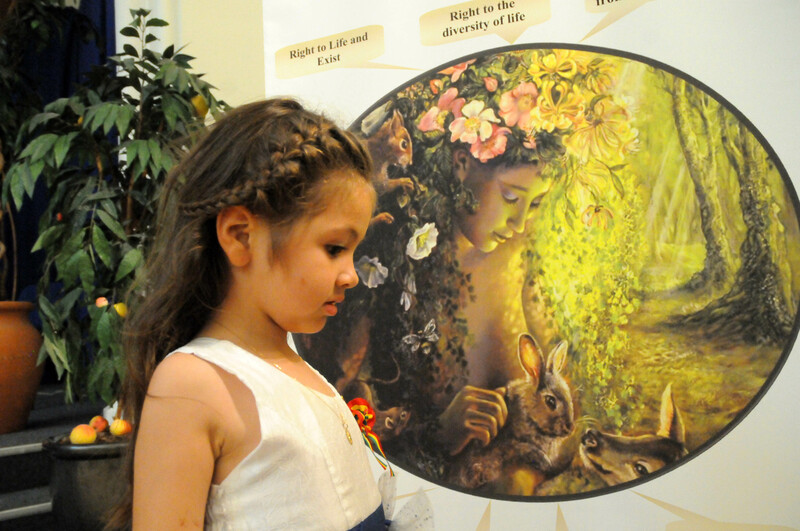 Bolivia celebrated its national day on August 5 with a reception at Salon Klærke in Nørrebro where guests enjoyed traditional art, music and food. 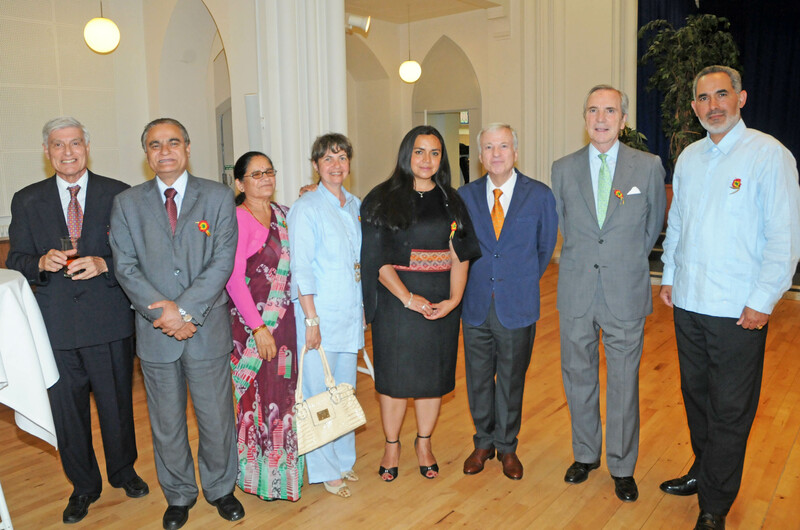 Among those present were (right: left-right) Nepalese ambassador Mukti Nath Bhatta and his wife, Cuban ambassador Caridad Yamira Cueto Milian, Bolivia’s chargé d’affaires Luciana Beltran Oliver (also pictured with the food), Argentine chargé d’affaires Marcelo Pujo, Spanish ambassador Enrique Pastor de Gana, and the husband of the Cuban ambassador. 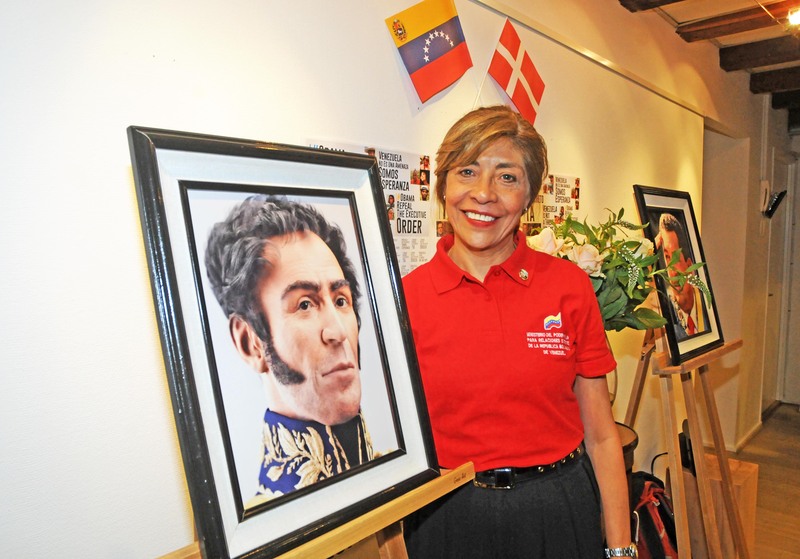 Venezuelan ambassador Aura Mahuampi Rodriguez de Ortiz posed with a statue of her country’s founder, Simon Bolivar, following a screening of Oliver Stone’s ‘Mi Amigo Hugo’. 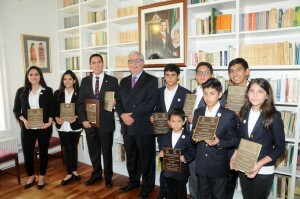 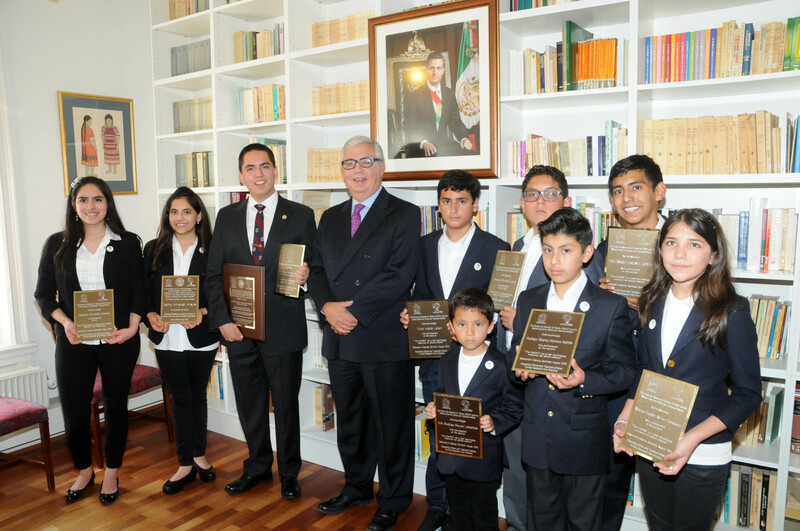 Mexican ambassador José Ignacio Madrazo (fourth right) was at hand to welcome six children from his homeland who were in Odense on August 10 to participate in the 21st World Council for Gifted and Talented Children. 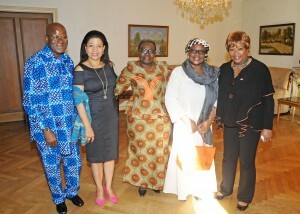 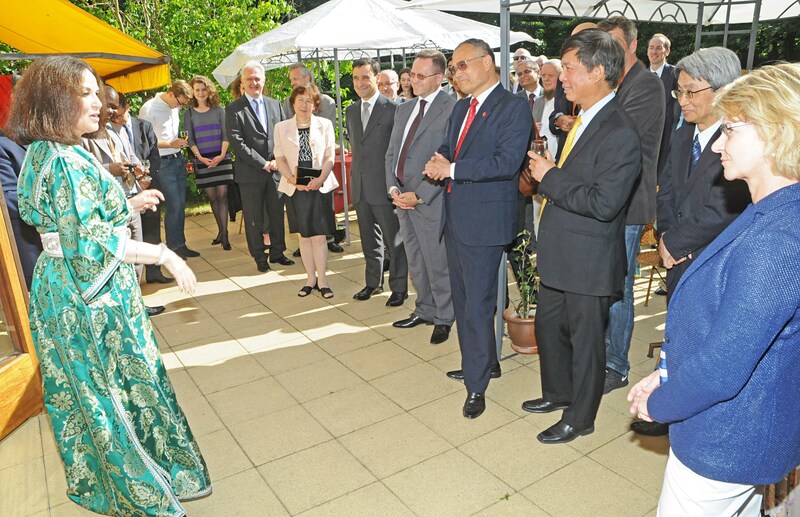 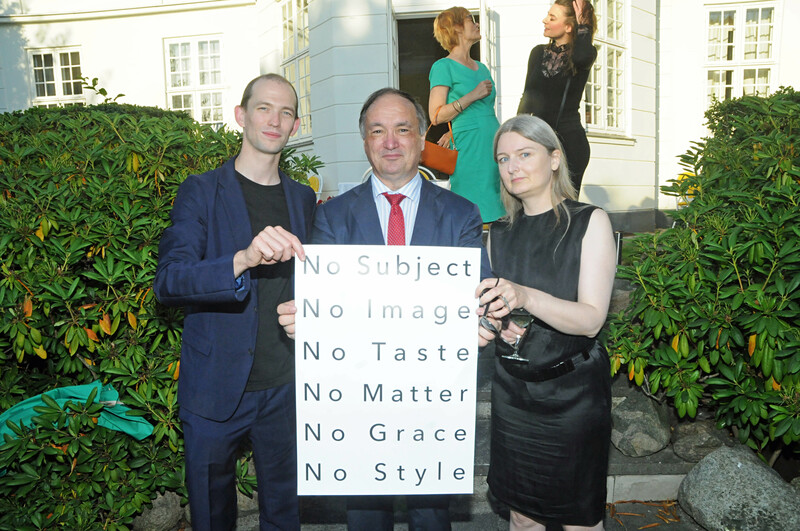 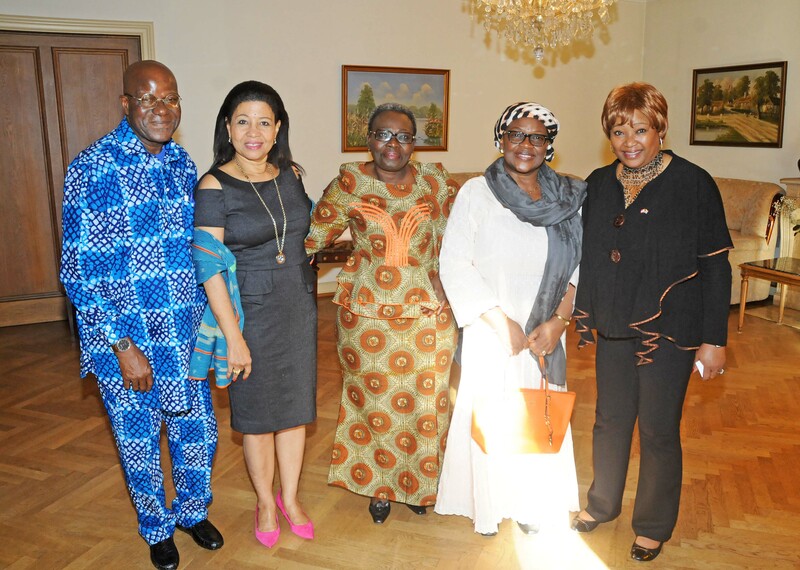 Austrian ambassador Ernst-Peter Brezovszky (centre) and hosted a reception for Austrian artist Nick Oberthaler (left) on August 6 at his residence. 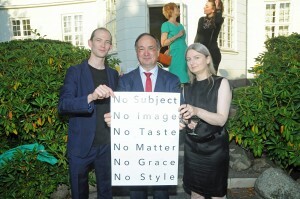 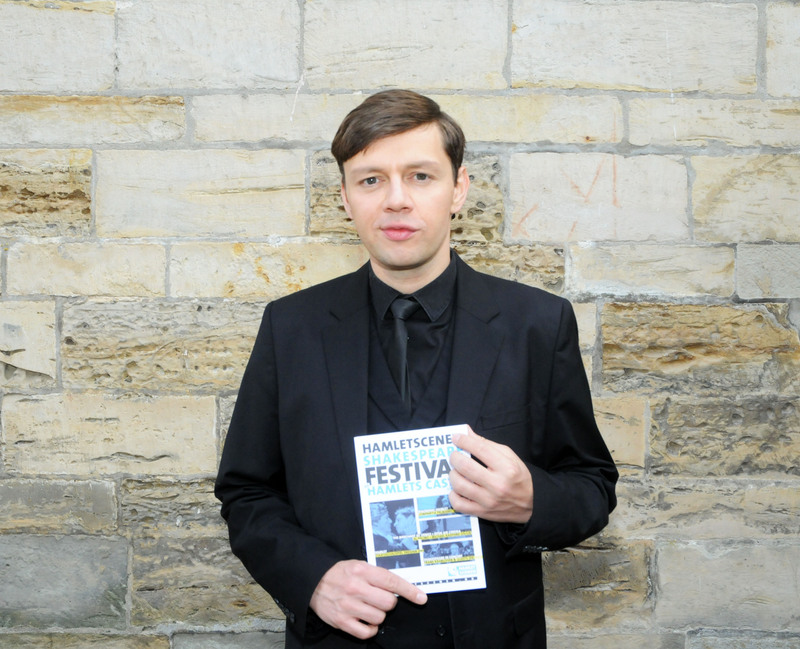 He currently has an exhibition at the Bianca D’Alessandro Gallery.